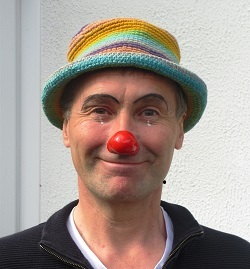 This entertainer has performed for over twenty years entertaining children all over the world - his aim to make a happy memory for everybody at the party! Amazing clown! From the point of making an enquiry he was prompt on his correspondence which was reassuring. He arrived all prepared brought lots of toys, props for the children. He very was very engaging managed to keep the children entertained age range was 4-12. He was gentle, and just in charge of the party which was good for me - he clearly is very experienced, He has been clowning and face painting for over 30 years but very young at heart and knows all the current cartoon characters. His face painting is amazing and he is very fast. Great children's entertainer, hired for daughters 8th birthday party, 17 children had lots of fun with him. Makes a nice change from usual kids discos etc! Fantastic was very pleased with him Was amazing, thank you. The children loved him - would recommend him. He was great! He really helped bring in the children to the event and they all absolutely loved him! Provided a great performance and we got many compliments from the parents on how much their kids loved him. Great variety and he fitted right in to what we needed from him. Thanks so much! Would highly recommend for any kind of event! Previous Clients: tours of Northern Ireland, France, Belgium, Spain and all over the UK and Wales - I've worked for ASDA, KPMG, Royalty, Military, Co-ops, schools, communit get-to-gethers, Festivals and fairs, hundreds of parties and weddings and christenings - and my kids birthday parties every year until they were too old !